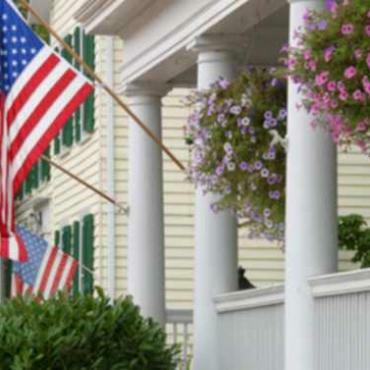 Explore the Capital Region, its history and many of its monuments, museums and harbour towns. 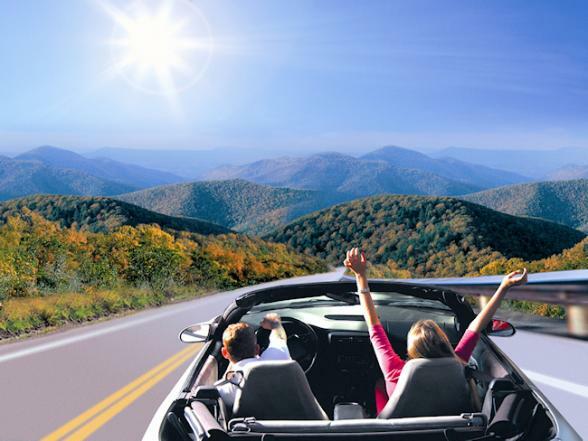 Set against a backdrop of quaint hamlets, beautiful cities, national parks and Blue Ridge Mountain scenery - this tour has something for everyone. Combine this with hip new restaurants and bars, stunning hotels, great nightlife, live music, theatres, charming neighbourhoods and terrific shopping options and you have a fantastic start to your trip through the Capital Region. Travel onwards to the city known as Charm City - Baltimore - where it's not so much a place as an experience. And after close to three hundred years of history, this city can deliver more fun-filled days (and romantic evenings) to make any stay memorable. Since the city was redeveloped by James Rouse in the late 1970s, millions of people have come to see Baltimore's Inner Harbour, where one can ride the elevator 27 stories to the Top of the World Observation Level and Museum in the World Trade Center, explore the inside of the World War II submarine Torsk and visit sharks, dolphins, sea turtles and thousands of other aquatic animals at the National Aquarium in Baltimore. 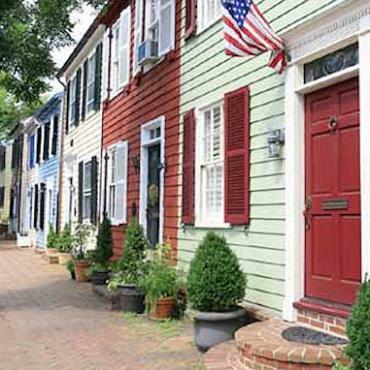 If it's shopping, than Baltimore has an astounding array of choices from upscale malls to antiques and designer shops. Also, check out the city's fantastic restaurants, and the lively restored area of Fells Point, where many old bars and pubs have been restored. 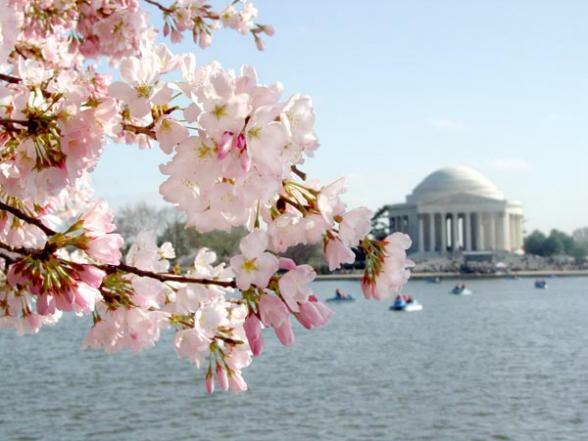 Here you can sample an astonishing array of cuisines, along with world-famous Chesapeake bay cuisine. 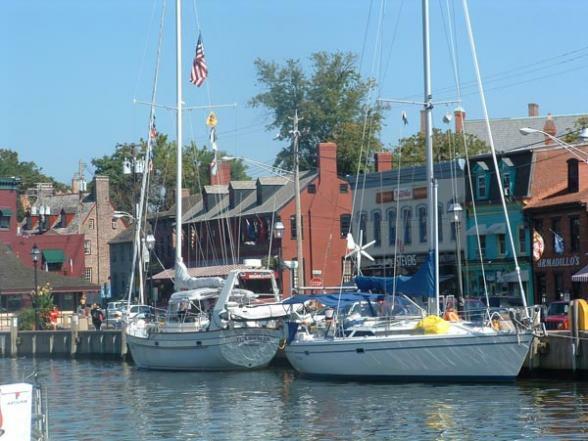 Discover the Yachting Capital of the Chesapeake today - lovely Annapolis. The vibe is laid-back, the scenery is awe-inspiring and the local fare is seasoned with the flavours of the Chesapeake Bay. At the center of the city, overlooking the town's baroque web of streets, the Maryland State House was completed in 1779 and soon after served as an early capitol of the US. It remains the oldest state house still in use. The narrow streets feature historic homes and restored buildings such as the Hammond-Harwood House, a structure that showcases architecture from the 18th and 19th centuries. 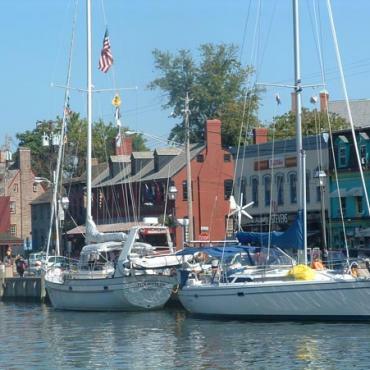 The waterfront harbour in Annapolis allows for ship watching, harbour cruises and the lively cafes and shops of Market House are an inviting place to relax. The grey stone U.S. Naval Academy is located in Annapolis and has more than 4000 midshipmen training to become Naval Officers. Guided tours of the Academy are available for the public. For the outdoor enthusiast, Amphibious Horizons provides kayak rentals and trips to a variety of destinations on the Chesapeake Bay. Take the next two days to explore Maryland's Eastern Shore. 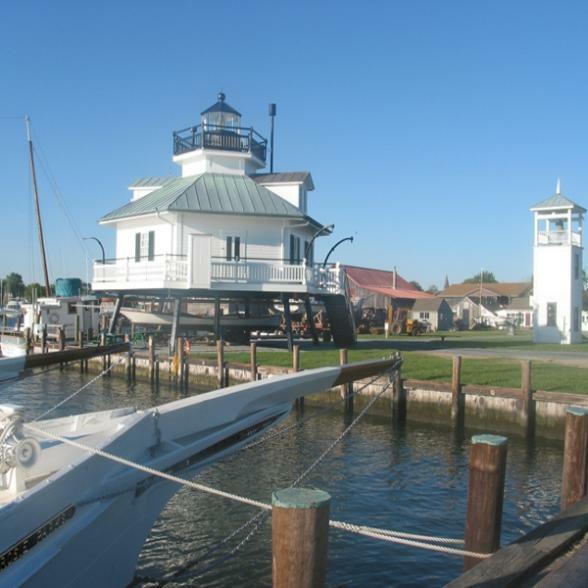 Visit the beautiful Chesapeake harbour town of St. Michaels'. Here, you can feast on the local specialty - crab - whilst overlooking the small picturesque harbour. Browse through the town with its antique shops, ice cream parlours and cafes and simply sit back and enjoy the delightful ambiance of this quaint town. Southwest of St. Michaels is Tilghman Island, home port for many of the Chesapeake Bay's remaining skipjacks. Another old town is Oxford, once a major port and shipbuilding center. You can get to Oxford by taking the Oxford-Bellevue Ferry, the longest cable-free ferry in the U.S. 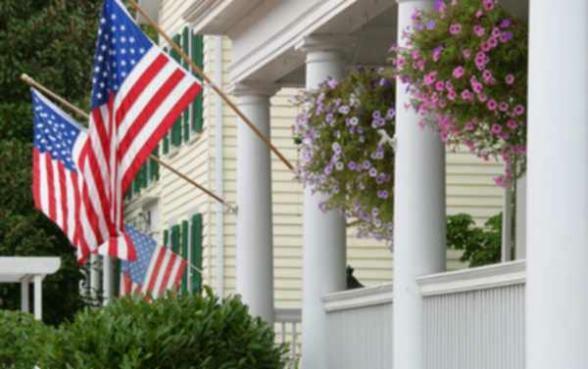 The 1684 port town of Cambridge, the county seat, has many historic homes, buildings and museums with agricultural, maritime, industrial and Native American displays. The Brannock Maritime Museum houses exhibits on Maryland's Oyster Navy and Chesapeake Bay history. Outside of Cambridge, the Dorchester Heritage Museum has exhibits on aviation, archaeology and local history, and the Richardson Museum focuses on the Bay's long heritage of wooden boat building. The Blackwater National Wildlife Refuge is an important nesting and feeding area for wild geese, osprey, swans, owls, muskrats, rare Delmarva fox squirrels and bald eagles. South Dorchester County has been called the Cape Cod of the South for its quaint watermen's villages and ferry bridge. Don't miss Colonial Williamsburg, the most ex­tensively restored 18th century town in the US. So compelling and complete is the restoration that visitors feel they are in a crown colony 300 years ago. 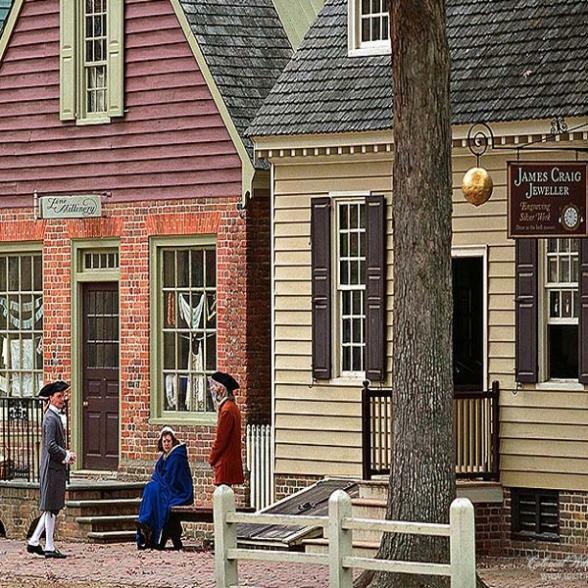 A similar sensation occurs on Jamestown Island where America's first English settlement was established. Voted the world's most beautiful theme park for 16 consecutive years, Busch Gardens Williamsburg combines 17th-century charm with 21st-century technology to create the ultimate family experience. Situated on 100 action-packed acres, Busch Gardens boasts more than 50 thrilling rides and attractions, nine main stage shows, a wide variety of award-winning cuisine and world-class shops. Plunge into outrageous fun at the mid-Atlantic's largest water play park, Water Country USA. Featuring a 1950s and '60s surf-theme, Water Country USA offers families tons of summertime fun with more than 30 slides, water rides and super soaking thrills. You may want to stop in Richmond today, en route to Charlottesville, to visit the White House of the Confederacy, Maymount Plantation, or the Museum of Art. 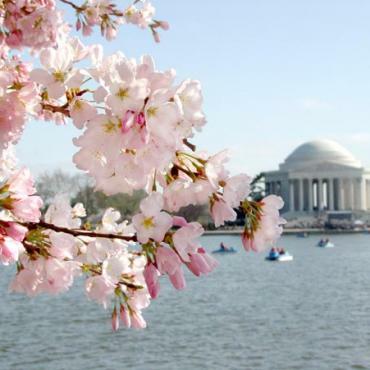 Then, your journey is through an area which Thomas Jefferson called the Eden of the country. 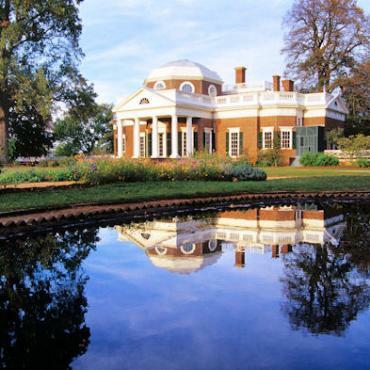 You can visit his home, Monticello, atop a moun­tain in Albemarle County. It is described as one of the country's foremost architectural master­pieces. 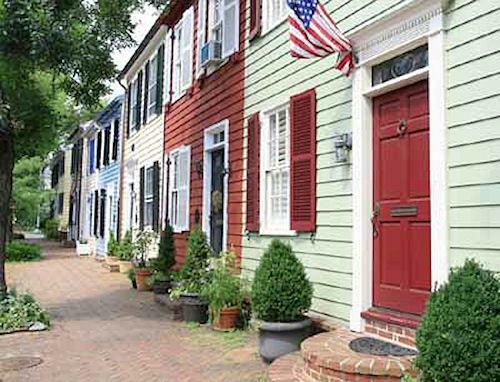 Today, Charlottesville is a charming college town with many shops, restaurants and tea rooms. See Ash Lawn-Highland, the plantation home of President James Mon­roe, is a 535-acre estate preserving Monroe's house and furnishings. The grounds host farm and craft demonstra­tions, outbuildings, peacocks, boxwood gardens and entertain­ment. 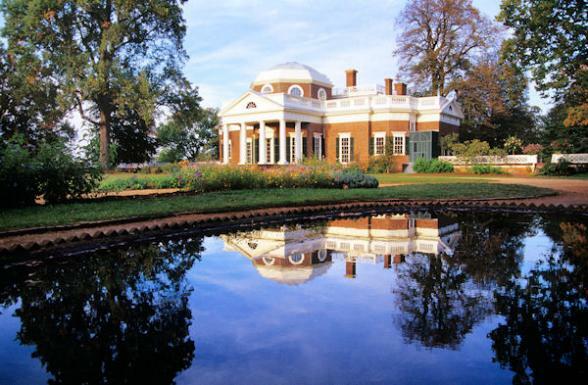 Discover why this region is known as Virginia's crowning glory. 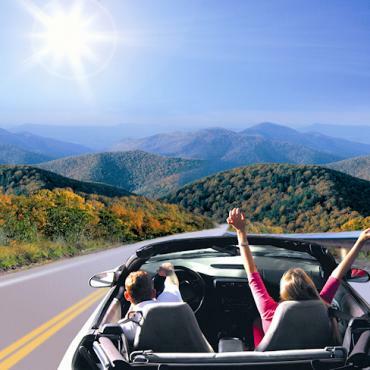 Your route takes you through lush rolling countryside, past gracious horse farms to the splendour of the Skyline Drive. Travel this National Scenic Byway, stopping at overlooks for views of the valley below. With more than 500 miles of hiking trails, you can relax and explore the lush forests, streams, waterfalls and wildflowers. Amble along a beautiful bridle path on a guided horseback ride. Visit Luray Caverns, the largest caverns on the east coast. 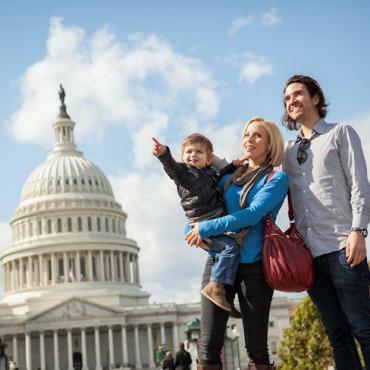 This is your final day before departing Washington for your flight back home. 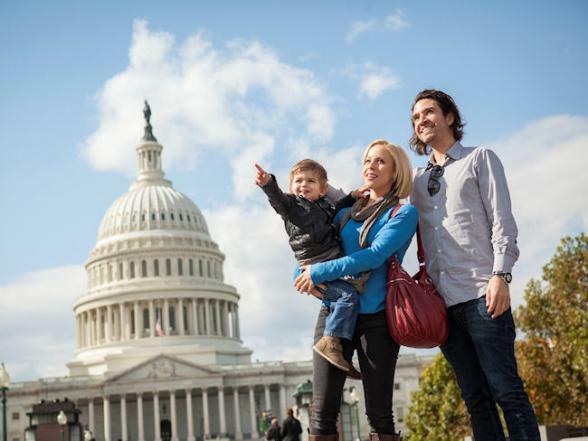 You may decide to extend your tour and spend more time in a destination or perhaps catch a train to Philadelphia and explore more of America's history and heritage? For more information and ideas, call the travel experts at Bon Voyage to discuss your dream Capital Region cruise.